It’s the new millennium, and instilled therewith came the progressive cycle of technological development, bringing in the age of Big Data analytics and secure cloud resources. The past decade has brought on breath-taking advances which coordinate the way we routinely store mass amounts of information. This new trend is being called Big Data, and whether you know it or not, this new source is helping businesses of every industry to become more productive and efficient in every way, including the healthcare sector. Big Data analytics and cloud storage is simply trying to make the world a better place. The in-depth growth of efficiency tools we use in today’s medicine started with archaic remedies carved in wood tablets, setting off a task to conquer each sickness one by one for the prosperity of health and happiness. By having the ability to store vast amounts of medical information today into one single majority grouping, the medical industry has a more fortified and intuitive basis from which it can determine the exact general needs of a given population, and most importantly, a single patient. This information is giving rise to new medical approaches every day which goes beyond relying on a single doctor’s perspective. These coming changes will have a dramatic impact on medical capacity and the way doctors operate. The prestigious medical profession of late has always had its pros, yet, when a doctor’s opinion of extensive professional experience is matched with the hard facts of Big Data analytics, the human error in us takes the disadvantage. As a patient’s condition can be assessed and speculated about by groups of doctors, the simple fact remains that computers produce much more reliable results many times faster than any human without the plethora of inconsistencies to grapple with afterward. With access to Big Data, the program can be harnessed to scour and analyze thousands, even millions, of patient histories and similar cases. A large 600-bed hospital’s records of 20 years can be stored on just four terabytes of cloud memory, which is quite minute considering what immense amounts of information we process daily. According to Healthcatalyst.com, a fleet of Southwest’s 607 Boeing 737 aircraft generate more than 260,000 terabytes of data each day. However, they are not equipped to store the information, but that will be in the future. Healthcare institutions have many enormous supplies of data coming in electronic medical record systems. Most of that is collected for recreational purposes. However, the volume and velocity of data in Healthcare is now exceeding enough to require Big Data. 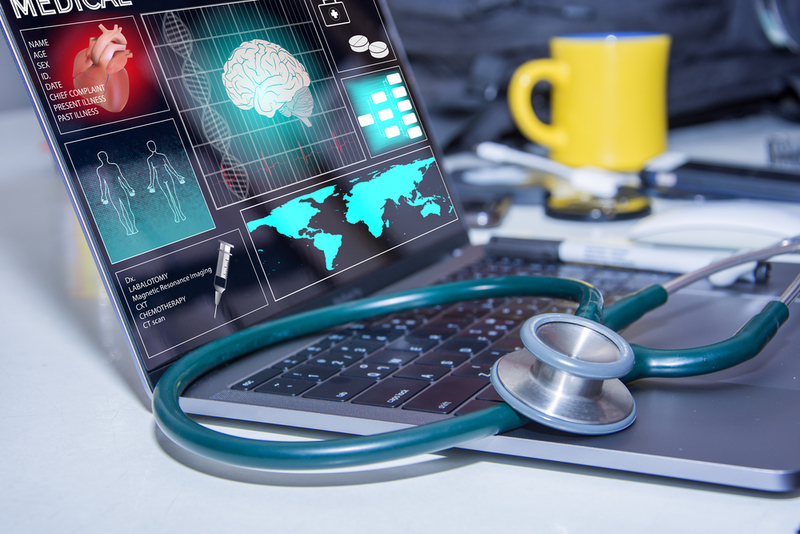 Some argue that there are not enough preliminary uses for Big Data at this point, but, as we speak, Big Data analytics and cloud storage is taking much of the work out of diagnosis, allowing medical professionals to have a more intuitive mindset with patients and their needs as ever before. Being able to access information from a tablet or smartphone as well as a desktop computer means that in a medical emergency, your doctor can access your medical information from anywhere. Certain practice management systems offer a HICAPS integration too, which makes it easier for everyone to make claims, send quotations to health funds to instantly get to know the benefits and make EFTPOS payments. The logic of mass cloud is simply too great to ignore. Many research and academic-based healthcare institutions have been using Big Data to develop ways to achieve advanced research projects. Of course, most health systems have been able to do plenty without Big Data in the past. Although we haven’t yet come close to the limits of what healthcare analytics can accomplish with traditional databases, Big Data is on its way irrevocably. The majority of healthcare institutions are overloaded with civilian problems. Once basic needs are met, and most of the initial applications are in action, there will be an introduction period for items such as wearable medical devices, advanced cellular communications, and a vast array of other devices which will further enable the need for Big Data. Think about supporting your national Big Data analytics and cloud services to get humanity one step closer to a life with more life.